In what may come as a surprise to most cynics, a photography based petition has actively changed a political debate and prevented a further erosion of photographers’ rights. The Freedom of Panorama has been saved! 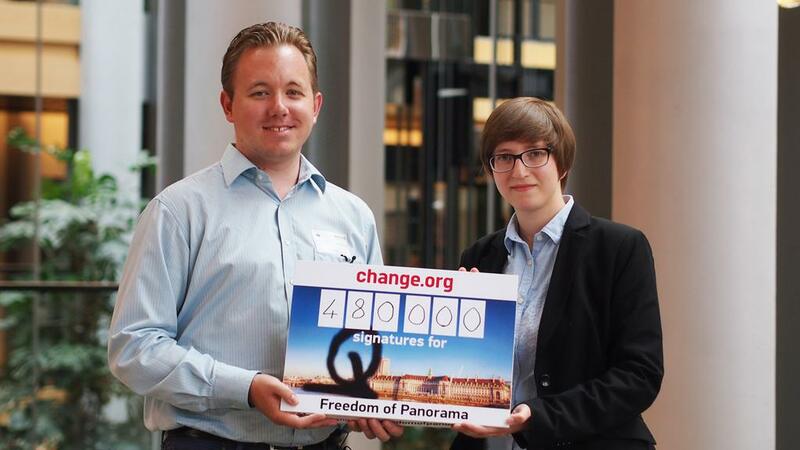 Nico Trinkhaus handed over the petition which as of July 8th stood at 480,000 signatures in favour of the Freedom of Panorama. For a bit of background a draft law was due to be passed in the European courts which restricted the right for photographers, both amateur and pro to snap photographs of cities and landmarks without repercussion. Julia Reda had championed an expansion of the freedom of panorama to countries which don’t allow it like France, however this bill was turned on its head to threaten us all. We’d like to extend a huge thanks to Nico and Julia whom without their support, go getting attitude and optimism for making this happen and protecting out rights as photographers! Huge majority voted against the restriction of Freedom of Panorama! #saveFoP Thank you!